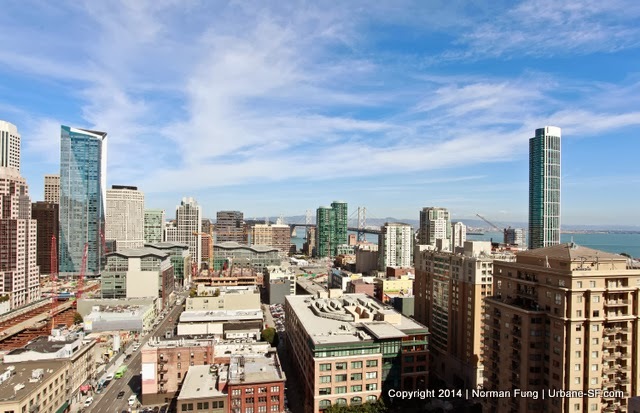 Earl & Norm | URBANE SF Specializes in SF New Construction Development Condo Sales. As a first time home buyer and not knowing much about the process, Norm was fast and efficient while patient enough to explain & answer all my questions. He made sure I was taken care of from start to finish. Norm's insight and experience got me into the home with a price I was comfortable. Norm had great referrals and knew what to do for every situation. I can't thank Norm enough for shepherding me through my purchase. A truly genuine and patient real estate agent! As first time homebuyers, Norm made us feel at ease and comfortable with the home buying process. Norm is very accommodating to our schedules, knowledgeable about the housing market, and resourceful. Definitely an agent anyone would love working with! I recently completed the purchase my first home with Norm Fung as my agent. Being a first time buyer and a business person who pays attention to detail, I had many questions and concerns to be addressed throughout the process. Norm provided unparalleled service above and beyond what I expected and was able to successfully complete a not so straightforward transaction. Not only did he demonstrate his acumen for the business, his commitment and work ethic were unquestionable, but entirely rendered with a personal touch. I am happy to strongly recommend Norm for your business and look forward to doing business with him again. We interviewed several top-rated agents to represent us in the sale of our Marina condo and selected Norm Fung. We chose Norm as we knew he would personally focus on the transaction as opposed to a junior member at a larger firm. Norm did not disappoint! He was professional and diligent throughout the process from pre-marketing to closing details. We were impressed with depth of Norm's market analysis and his market knowledge contributed directly to a closing sales price that we were very happy with. He was very responsive to our needs & requests from start to finish and was a pleasure to work with. I recommend him highly and would choose to work with him again. I met Norm, by chance, at an open house when I was shopping for a condo in SF for investment. Our conversation made me feel so comfortable that I signed him up as my agent. Norm is a great agent: professional, resourceful and very focused. He prides himself as a project manager- the project being the purchase of the condo. He listens carefully, offers his advice with thoughtful consideration. When we were on vacation overseas during the closing process, Norm went above and beyond the call of duty to keep the process going almost single-handedly. From time to time, when I got off track by some properties we visited, Norm acted as my checks and balances and kept me focused on the job at hand- the purchase of the condo in the South Beach Area of San Francisco. I found his service very professional and his advice invaluable. His process is also extremely efficient, with almost most of steps completed online. In conclusion, I would recommend Norm to anyone. In fact I have referred Norm to two of my friends, and I am confident they will share my enthusiastic recommendation for Norm in the near future. I am an out-of-town buyer and was relatively unfamiliar with how to buy my first condo in San Francisco. I was referred to Norm and that proved to be key to getting my purchase completed successfully. Norm was there at every step of the way: from providing a market overview, advising on the offer and counter-offer process, liaising with the escrow company, to helping secure the first tenant for the condo once my purchase was completed. I found him to be an exemplary professional, providing prompt response and helpful advice. I appreciated the fact that he was detailed and provided a complete service. He made the process a pleasure and go smoothly. I am a highly satisfied client and would highly recommend Norm to anyone. We recently purchased property in the city. It was our good fortune to have Norm Fung as our realtor. Since we do not live in California, our transaction was more complex and difficult. My husband and I have purchased numerous properties over the last 30 years so we are very familiar with real estate transactions. Norm went “above and beyond” our expectations emailing pictures, videos, documents and making certain we were completely informed throughout the process. Even after the purchase was completed, Norm has been extremely helpful in checking on the premises and tying up any loose ends that might need attention. We would highly recommend Norm to anyone buying or selling property in San Francisco. Growing up in the city, Norm is knowledgeable of all aspects of the market and his expertise and educational background in engineering is an unexpected bonus. He is extremely professional and his attention to detail was so critical in helping us find the perfect place that fit our criteria. Norm made certain we were treated fairly, informed of all relevant circumstances, and ultimately helped in finding the right property for us. In the future, we will absolutely use Norm for any other real estate transactions in the city. We need more agents like Norm in every agency. Norm is professional and competent. Norm helped sell my Oakland investment property on September 2012. Before hiring Norm to represent me, I had interviewed several other local agents; I finally selected Norm. Why? Norm is analytical, results-driven, customer-oriented, and he knows his stuff. When I interviewed Norm, he put me at ease by showing me detailed analysis of comparable properties and he thoroughly walked me through scenarios that I would expect to encounter throughout the process. He was upfront about everything, and he didn't sugarcoat things to earn my business. I really appreciated his straightforward approach. Overall, I was thoroughly satisfied with Norm's service. Moreover, the property was sold above asking. I highly recommend giving Norm a call if you are thinking about buying or selling your property.